Rio de Janeiro, Aug 19 (IANS) Indian shuttler P.V. 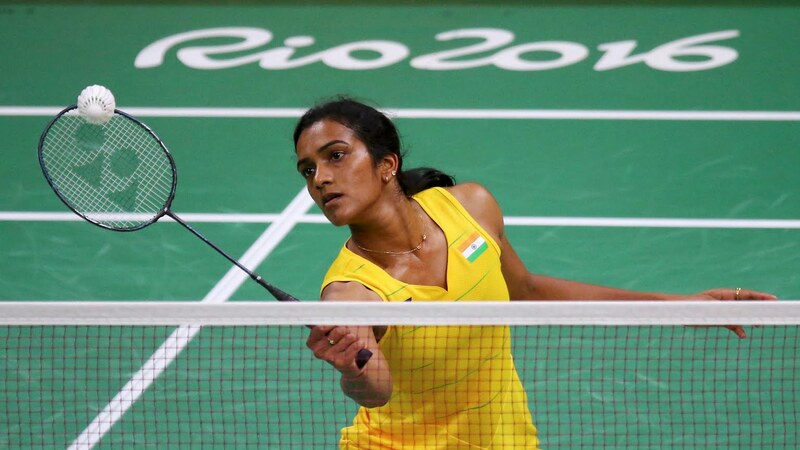 Sindhu settled for silver at the Rio Olympics after being beaten 21-19, 12-21, 15-21 by World No.1 Carolina Marin of Spain in the badminton women’s singles event here on Friday. It is India’s second medal in the Rio Games after wrestler Sakshi Malik bagged bronze in the women’s 58 kilogram category on Wednesday. In a hard-fought summit clash, which lasted one hour and 20 minutes, fortunes fluctuated dramatically at the Riocentro – Pavilion 4. With the win, two-time World Championship bronze medallist Sindhu now trails Carolina 2-5 in career head to head meetings. Sindhu became the first Indian woman to win silver at any discipline at the Olympics. The Indian shuttler started on a positive note but after 3-3, the Spaniard dominated the proceedings and took four consecutive points to lead 7-3 and then 9-5. World No.10 Sindhu, who was trailing 16-19 at one point, fought her heart out and took five points on the trot to claim the first game in 27 minutes. But Sindhu, who was on a giant-killing spree after dismissing two higher-ranked opponents in competition, displayed grit to pull level at 10-10. Carolina went into the mid-game interval leading by a slender one point margin. But Sindhu was left powerless when Carolina upped the ante to pull ahead 19-14. She edged closer to match point with a half smash and eventually clinched the contest 21-15.